Attention: slow burning romance lovers, this book is for you! The two MCs meet at 64%!! Kidding aside, this is not a proper MM romance. It’s a thriller with a gay (or bi?) main character. Since this is the first of a three-book series, I suppose the proper romance will be exploited in the next installment. And I loved this: the author managed to write a book as good as James Pattersons’ or Patricia Cornwell’s ones with a Lgbt element in it and without giving in to the usual tropes of the MM genre. The plot: Cole Mouzon is a successful thirty-something lawyer, who has raised a dense wall in order to protect himself from emotions. His life is going to change radically when he discovers to be a serial killer’s target. He’s going to learn that his past is not as untroubled as he used to believe. Side characters are well portrayed (Cole’s family and friends and the Fbi agent in charge of the investigation). Charleston is a central part of this book, too. Reeves openly loves his hometown and gives a detailed description of the people, the surroundings and the history of the town. At times it feels like reading a [b:Lonely Planet Savannah Charleston & the Carolina Coast|182890|Lonely Planet Savannah Charleston & the Carolina Coast|Randall Peffer|https://d202m5krfqbpi5.cloudfront.net/books/1386920748s/182890.jpg|176747] travel guide.. but still, it’s a well depicted setting (and a lovely town, it seems). The conclusion is surprising and unforeseen (at least, it was for me). 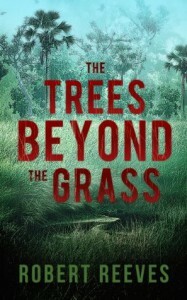 Highly recommended to thriller fans.